Regence was founded 100 years ago on the premise of neighbor helping neighbor. To celebrate this and to show our appreciation, we are supporting 100 non-profits across the region by giving time and resources to our communities throughout the month of August. All month, employees are granted four hours of paid time off to volunteer at any non-profit organization focused on improving the health of local communities in Washington. Additionally, all employee contributions will receive a 50 percent match. 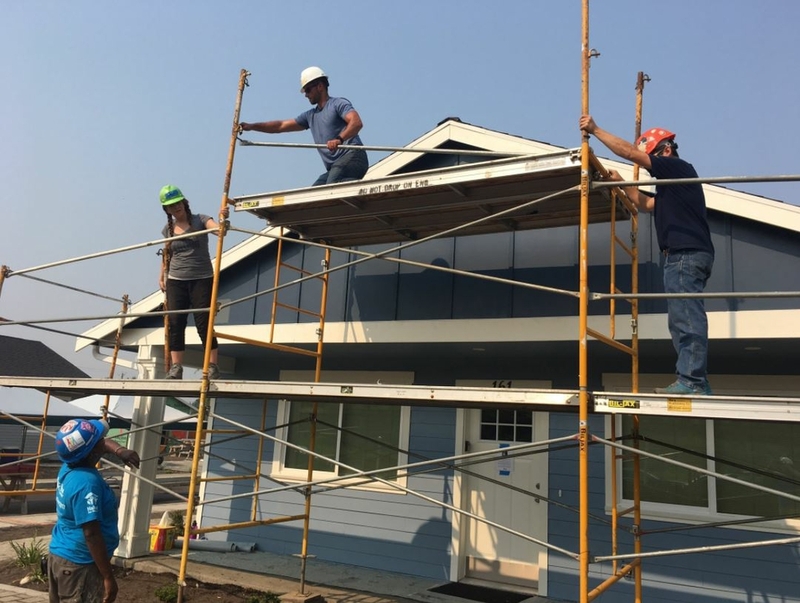 A few of the organizations we’re supporting in Washington state include Habitat for Humanity of Spokane, Skagit, and Tacoma/Pierce Counties, Mary’s Place and the Tacoma Rescue Mission. In addition to employee volunteer and giving opportunities, we’re partnering with our customers as well. Master Builders Association (MBA) and Habitat for Humanity Seattle-King County partnered with us to build much-needed sidewalks, providing safe access to the homes and around “Megan’s Meadow.” This property is being transformed into single-family homes for low-income veterans. Around 17,000 current and former members of the U.S. military live below the 200 percent federal poverty level. During the volunteer day with MBA, we worked on finishing nine homes. The future homeowners have worked together as friends and neighbors to help build this community. We are only as healthy as the communities that we serve. Alongside the Master Builders Association, we continue to work together to help create a community where everyone has a place to call home. Read more about our centennial here.